Currently featured in Apple's "Everything changes with iPad" campaign showing how much learning has changed with this very powerful tool! 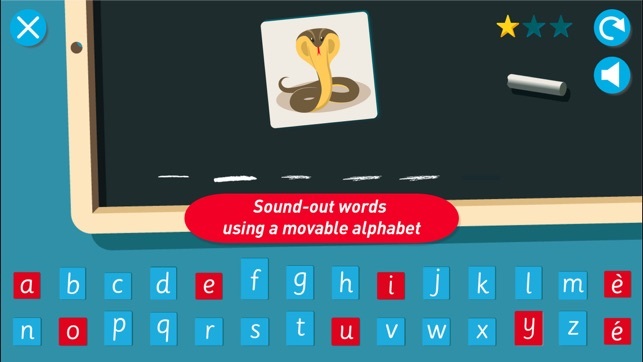 Montessori Letter Sounds is a multi award-winning app to get your children on the road to reading! - From the age of 3: “I spy” to play sound games. - Around 4 years old: “Letter sounds” to memorize the letter sounds and shape. - Between 4 and 5: “Mix and match” to bring together the two first steps. - Around 4 1/2 years old: “Sound it out” to write their first words using a moveable alphabet. All four steps are included in this version but two games are locked at first and get unlocked as the children play and win marbles. This ensures progressive learning. 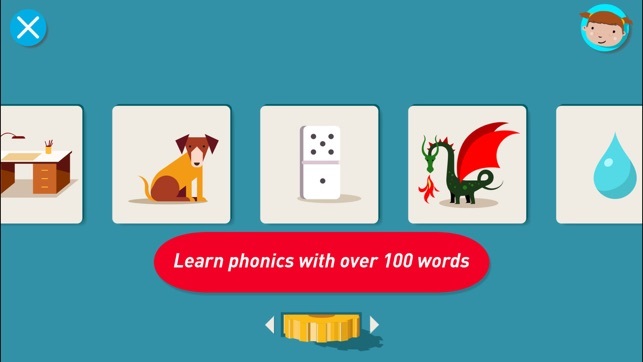 - *Our unique "foreign language" option, which enables children to play with the letter sounds in one of the four languages while listening to the instructions in their native language. 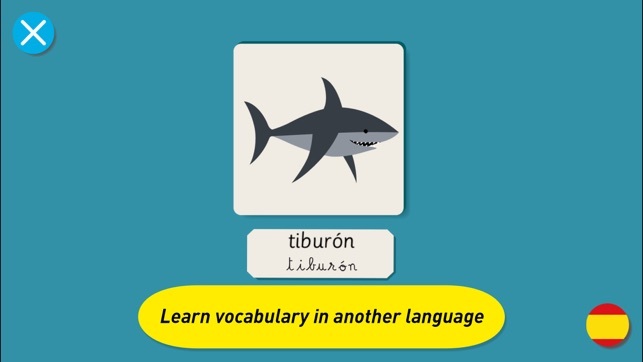 This version includes English, Spanish, French, German and Italian with a unique "foreign language" option to start learning another language! In each step, children will find a learning activity and a game to help them put their learning into practice. Self-correction is encouraged throughout the app to increase self-confidence. The system keeps track of marbles won by each player. Marbles are used to unlock games and levels and to stimulate learning. We founded EDOKI (launched as “Les Trois Elles Interactive” in 2010) to bring our classroom experience with hundreds of children to the Digital world of tablets. As certified teachers, our aim is to develop a range of truly educational as well as beautiful apps based on the Montessori Method. All our apps can be used at home or in class. They can also be used by speech therapists. We are proud winners of several Awards from the Parent's Choice Foundation and Common Sense Media. For any support, please contact us on contact@edoki.net. We added the iOS 9 "Replay" function to record tracing in the app. 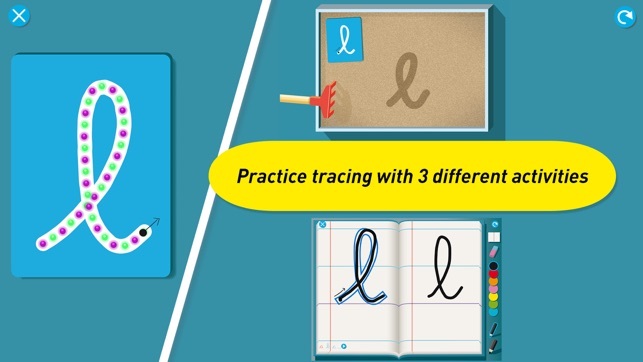 With this function, children can enjoy recording their writing activities and then share them with friends & family. Only accessible to devices updated to iOS 9. 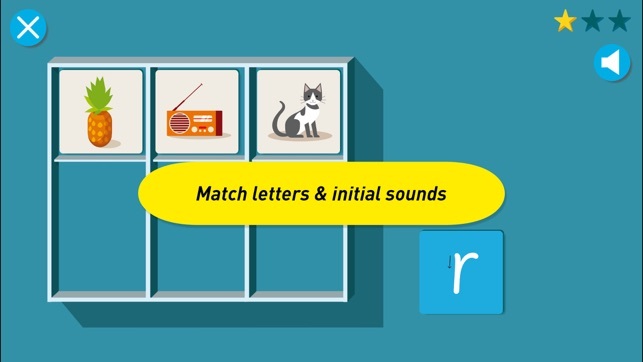 Hands down the best app I've found for learning letter sounds combined with writing them perfectly! It's simple, engaging, and educational. 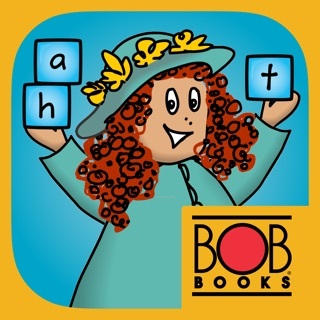 If you only get one app for your child let it be this one!! It's the foundation for reading and writing success! Haven't used the apps yet, this rating is based solely on the fact that I could not download the bundle, I had to download each app individually. I kept receiving the following error "App is not compatible with your device." Because of this, I had to pay full price for each app and did not get the discounted bundle price. Note: the apps work fine on my device and definitely ARE compatible. I have purchased this app, but only half the choices are working. THERE IS NO INFO in the settings. ALL PAGES ARE BLANK! It also says to Check Internet connection (it is working fine on other devices). I cannot figure out how to "earn" marbles. I cannot figure out how to create a parent account/profile. I am exasperated! I really want these apps to work, but they only partially work. Support is totally absent!